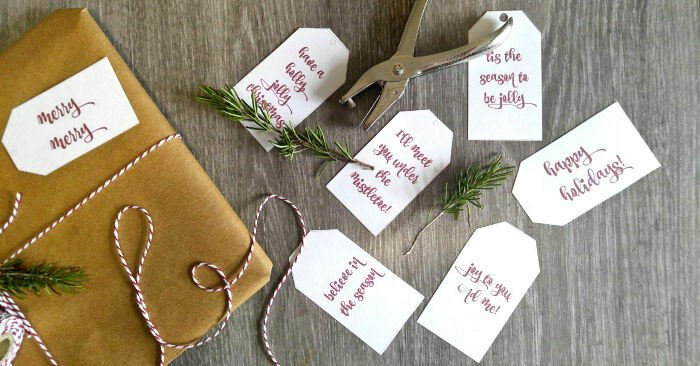 These printable Christmas gift tags are the perfect way to send just the right message to your gift recipients. Each of these holiday labels has a different Christmas message on it. One will be just perfect for your friend or family member. I can’t believe how quickly Christmas is heading our way this year. It seems like just yesterday that I was heading out for my summer vacation and here we are – almost time to put up the Christmas tree! Getting ready to wrap presents and finding out that you have no holiday labels is a bummer. That’s were these printable Christmas gift tags will come in handy. Just print them out on your printer and you are ready to attach them to your presents. 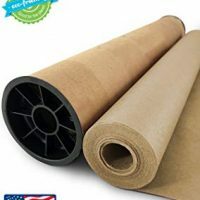 If you are looking for some suggestions for ways to wrap your gifts, check out these creative Christmas gift wrap ideas. I love adding the personalized touch to my holiday gifts. Making my own labels saves me a shopping trip and gives each gift a unique look that the gift recipients like very much. This project needs just a few supplies. The labels are very simple in design, so you can go for a very plain wrapping look at the package still looks very festive and bright. To make these holiday labels, I used some of my favorite Christmas messages, on a red edged label shape. The font is called coffeebreak, which I think is appropriate since I am always ready for a cup of coffee after wrapping up a bundle of gifts. To use these pretty Christmas gift tags on your presents, just click on the image or down load the sheet of holiday labels here. I suggest printing them on out heavy white card stock for best effect. You can add the to and from areas on the back of the tag and the stiffness of white card stock holds up will and doesn’t crease. 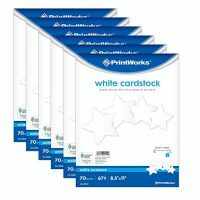 Another option (which will suit a shiny paper) is to print the label on glossy photo paper. 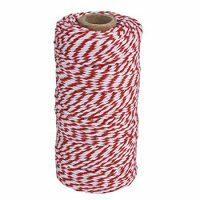 Red and White are the Colors of Christmas! 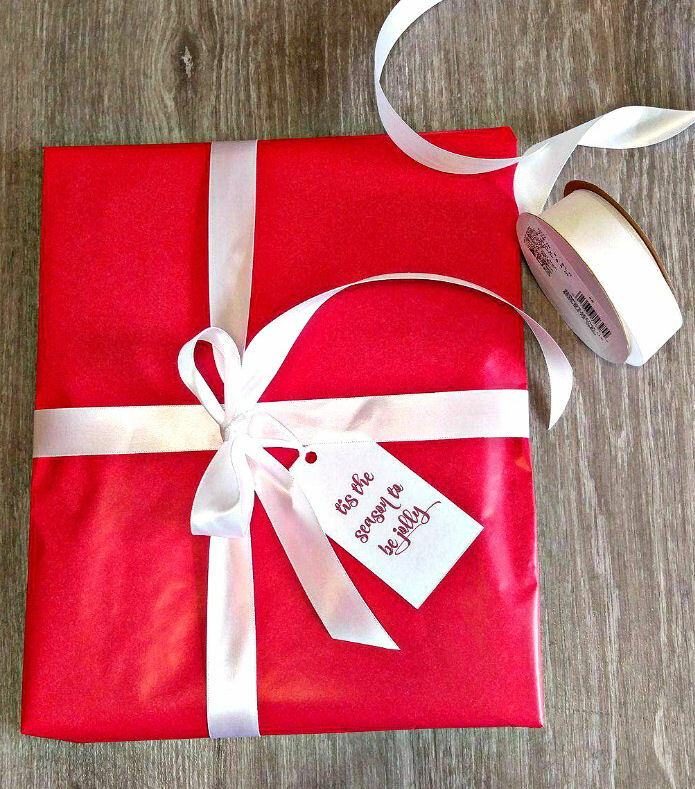 One way to use the labels is to wrap the package in plain red paper with a simple thin white ribbon. It crisp looking and inexpensive and shows off the simplicity of the label well. In this simple wrapping design, the colors of the label match the colors of the paper and ribbon and seem to say Merry Christmas in a festive way. These labels contain 8 different holiday messages: all I want for Christmas is you / believe in the season / have a holly, jolly Christmas / happy holidays! /merry merry / joy to you and me! / I’ll meet you under the mistletoe and ’tis the season to be jolly. 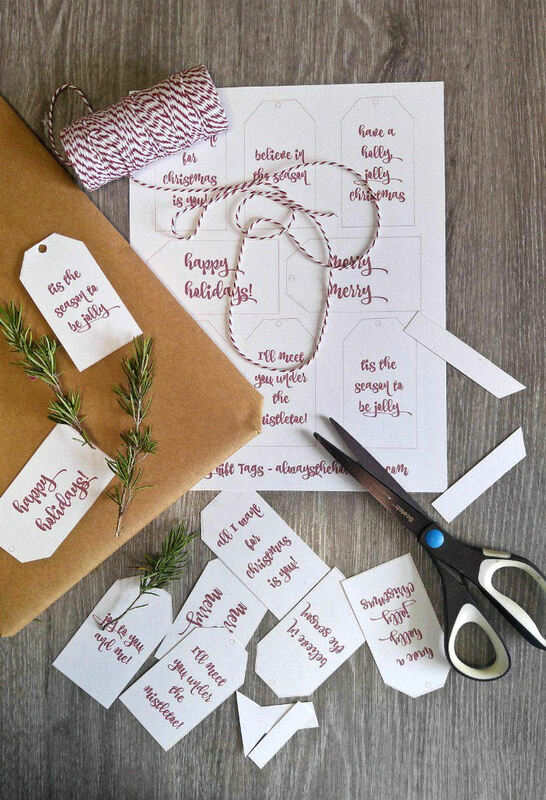 Just use a hole punch and add some thin ribbon or twine to attach them to the packages. 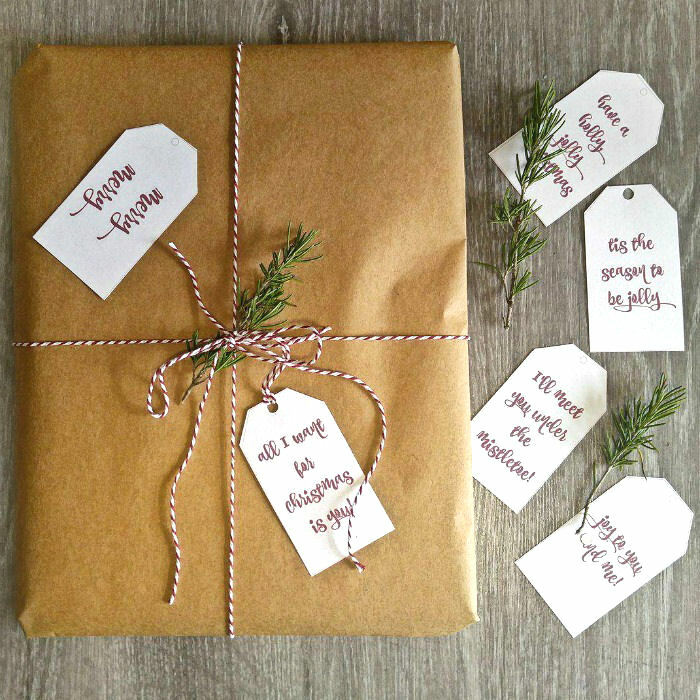 My favorite way to use these labels is to use plain brown wrapping paper with butcher’s red and white striped twine to wrap the gift. Then, add a cutting of fresh rosemary to the present for a farm country look. Rosemary has long been associated with the traditions of Christmas greenery, so it’s the perfect herb to add. It also has the red and green Christmas thing going on, as well! 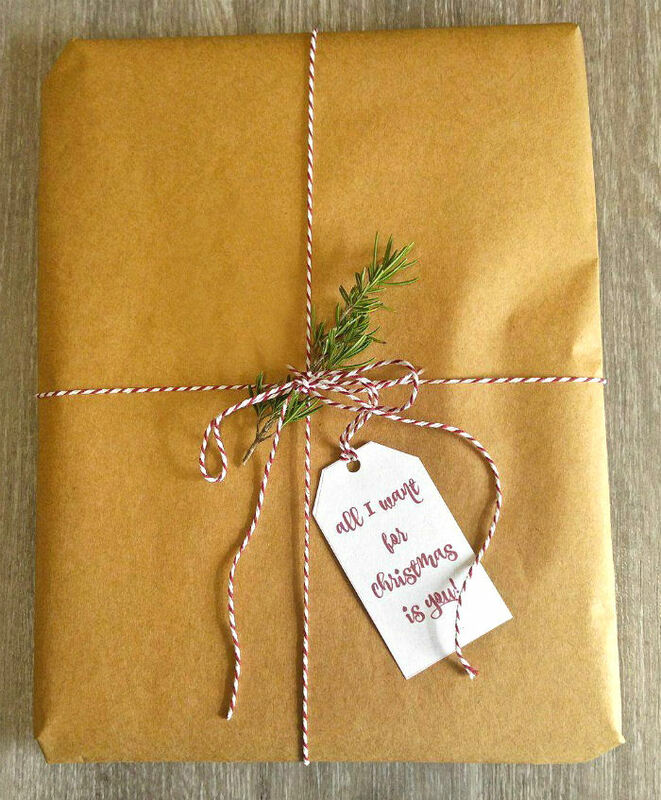 This wrapping idea gives a rustic and simple look to the package which takes no time at all to wrap. Please note: these holiday labels printables are for personal use only. If you are sharing these (and thank you for that!) please link directly to this post and not the actual image. I appreciate your help in supporting my site. I love the personalized look that these printable Christmas Gift tags give to my holiday packages. Your gift recipients will love the thought that goes into them! Would you like a reminder of this holiday gift label printable? Just pin this image to one of your Christmas boards on Pinterest to find the project easily later. 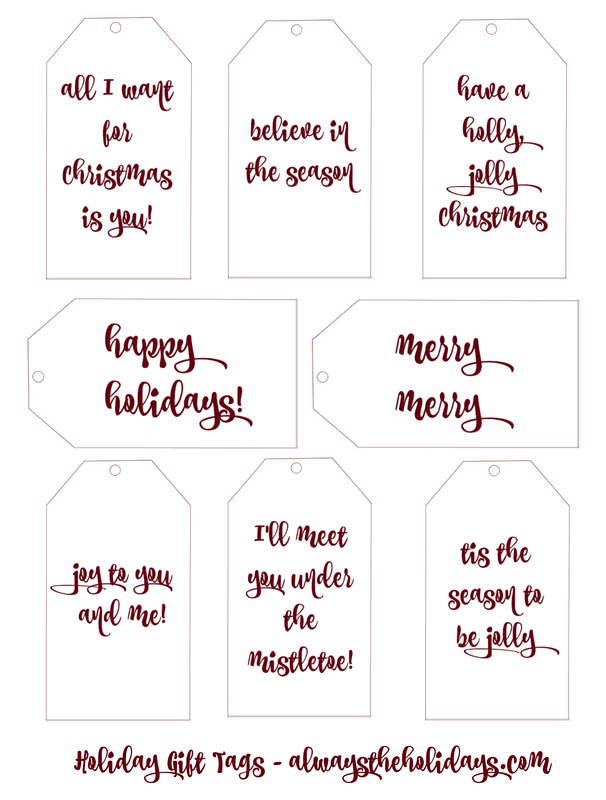 These printable Christmas Gift Tags have holiday messages that will give a personal touch to any Holiday wrapping. Print out the labels using this printable. Cut the labels out along the outside lines. 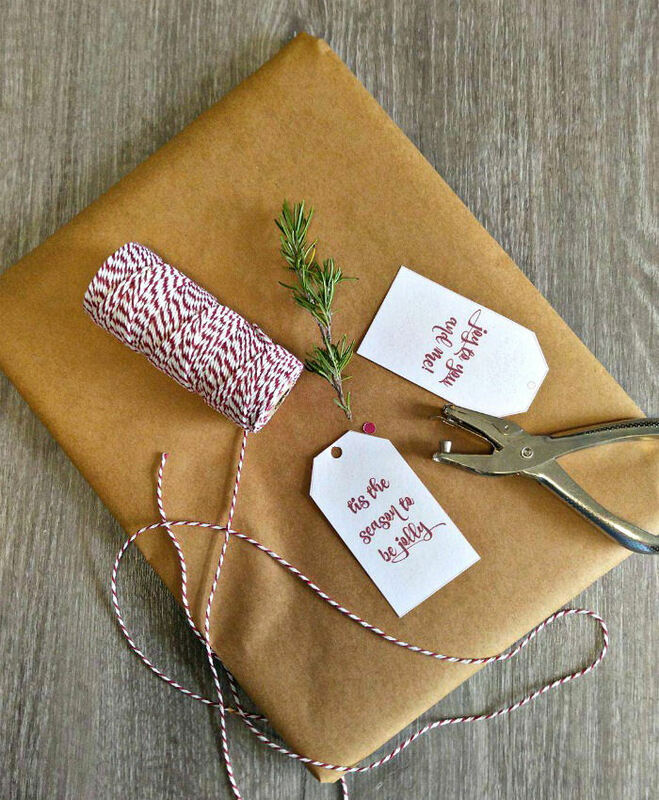 Wrap your present with either the Butcher paper, rosemary and kitchen twine, or red paper and white ribbon. Attach the label to the gift wrappin. ← November National Days – Thanksgiving, Cookies, Chocolates and More!